Through the final generation of true believers, God will fully reflect His character to the world. Is it not important, then, to correctly understand and fully experience the love and compassion shown in the true character of God? But how can we? We can begin to understand God's true character by allowing the Bible to interpret itself for us instead of using the long-standing method of men trying to interpret the Bible. The time has come when every belief we have, no matter how popular or wide-held it may be, must be thoroughly tested by Scriptural study. The only way of accurately accomplishing that goal is to let the Bible itself tell us, by allowing scripture to interpret scripture. We need to know the truth, because the transformation of our own character can be no better than our understanding and conception of God's character. 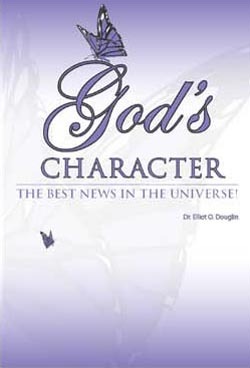 If we have a faulty picture of the Divine Character, our own character will, in turn, be faulty. Join us on a journey of discovery, a passage from the misconceptions of a fearsome, wrathful God to the wondrous vision of the true character of God you can love instead of fear.